She preeu-valley as y chaayr smoo ayns Massachusetts, ny Steatyn Unnaneysit, eh Boston. She nane jeh ny caayryn shinney ayns ny Steatyn Unnaneysit. Er-yn-oyr dy vel eh ny chaayr smoo ayns Sostyn Noa, ta Boston coontit myr preeu-valley neu-oikoil Hostyn Noa er son y vuilley tarmaynagh as cultooragh er y clane ard. Rere y coontey-pobble 'sy vlein 2010 va 617,594 deiney cummal 'sy chaayr hene, agh va 4.5 millioonyn dy leih cummal 'syn ard moir-valjagh Boston Mooar. Rere shen t'ee ny jeihoo ard moir-valjagh smoo 'sy çheer. ↑ 1.0 1.1 1.2 1.3 Dalager, Norman (2006-08-10). "What's in a nickname?". Boston.com. Feddynit er 2009-04-08. ↑ 2.0 2.1 Boston Travel & Vacations. Britannia.com (2006). Feddynit er 2009-04-08. 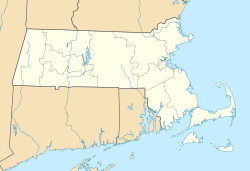 ↑ Massachusetts by Place and County Subdivision. United States Census Bureau, Census 2000 Summary File 1. Feddynit er 2009-04-29. ↑ United States by Urbanized Area; and for Puerto Rico. United States Census Bureau, Census 2000 Summary File 1. Feddynit er 2009-04-29. ↑ United States by County by State, and for Puerto Rico. American FactFinder. United States Census Bureau, Census 2000 Summary File 1. Feddynit er 2009-04-29. ↑ Population and Housing Occupancy Status: 2010 – State – County Subdivision, 2010 Census Redistricting Data (Public Law 94-171) Summary File. U.S. Census Bureau. Feddynit er 2011-03-23. ↑ Alphabetically sorted list of Census 2000 Urbanized Areas (TXT). United States Census Bureau, Geography Division. Feddynit er 2009-04-11. ↑ Metropolitan and micropolitan statistical area population and estimated components of change: April 1, 2000 to July 1, 2008 (CBSA-EST2008-alldata) (CSV). United States Census Bureau, Population Division. Feddynit er 2009-04-11. ↑ Combined statistical area population and estimated components of change: April 1, 2000 to July 1, 2008 (CSA-EST2008-alldata) (CSV). United States Census Bureau, Population Division. Feddynit er 2009-04-11. ↑ ZIP Code Lookup – Search By City. United States Postal Service. Feddynit er 2009-04-20.